The many volunteer sport fishermen deserve a gigantic thanks for their enormous and continued work on Zealand and the islands. 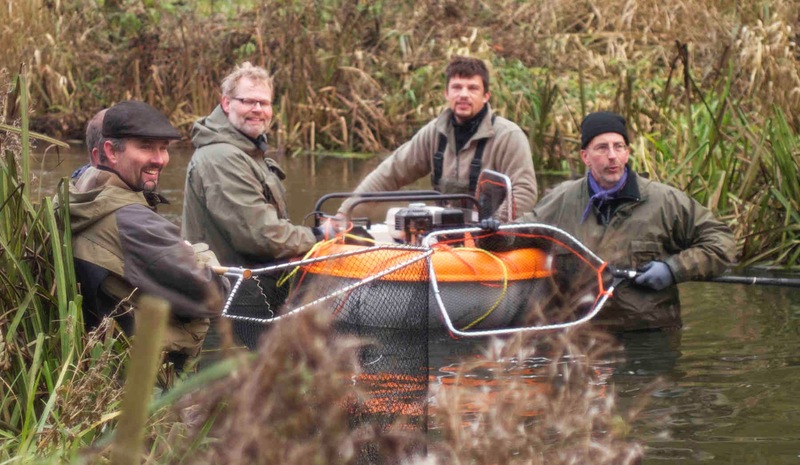 They have made a huge contribution through the years and are still going strong in areas like river restoration, tracing water pollution, catching mother fish, raising hatchlings, working with young people, helping to check smolt, counting spawning banks and much more. Without the thousands of volunteer hours spent by sport fishermen each year, there would simply not be the fish populations and the knowledge and potential that is present today. High level politicians are also extremely aware of the great significance of the volunteer efforts of sport fishermen. The previous Danish minister of food, agriculture and fisheries, Mette Gjerskov, puts it like this: Sport fishermen are both users and protectors of nature. This is a strong bond. I recently visited Havørred Fyn, where they say that the sea trout is worth its weight in silver due to the development and jobs that sport fishing tourists create. And if the sea trout is worth its weight in silver, then sport fishermen are their worth in gold for nature. Our rivers are one of the most important elements in our nature, and sport fishermen are well aware of this. And whether we are visiting reconstructed swings in a river or a spot where they are spreading rocks for spawning, we can see the dedication and enthusiasm for nature among the sport fishermen. And this is something that our natural environment is reaping the benefits from. The Danish minister of the environment, Ida Auken, is also very grateful for the volunteer efforts of the sport fishermen: If there wasn’t interest from the municipalities and the sport fishermen for turning our rivers into good fishing spots, I am not sure that things would be going so well with recreating good, healthy rivers in Denmark. Fishing Zealand is also extremely grateful for these contributions and for the cooperation we have with so many volunteers. Without them Fishing Zealand’s ambitions and visions could never be realized. Fishing Zealand hopes to further develop and strengthen these contributions from volunteers. We also hope that we can help communicate the praise and recognition that these volunteers deserve and that we also can help achieve the goal of a better and healthier environment for fishing for many generations to come. This is, of course, what motivates us all to work toward these goals.